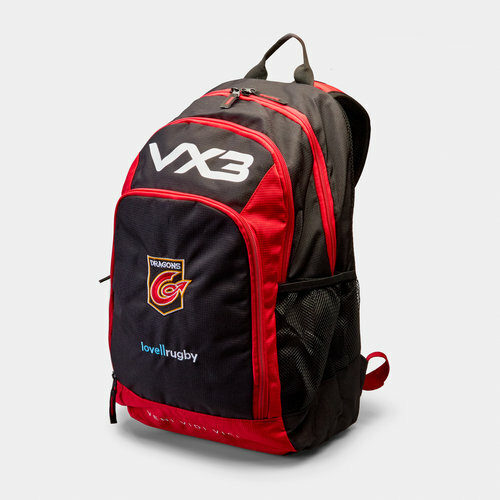 Make sure you don't forget any of your training and match day essentials when you use this Dragons 18/19 Pro Rugby Rucksack from VX-3. This practical backpack allows you to carry all your essentials in style. Crafted by VX3 this backpack includes several zip fastened compartments for storage allowing you to organise your kit. 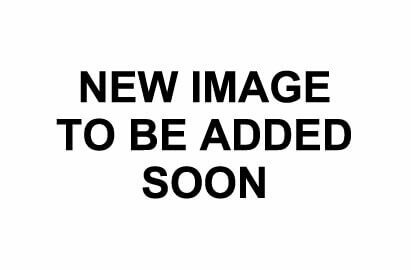 This bag has a small front pocket, a large front pocket and the main compartment with 2 side, water bottle insert, compartments. Made from 100% polyester material, VX3 ensures the fabric is water resistant so you can keep the contents inside dry. A handle at the top allows the bag to be carried by hand or hung up in the locker room whilst for heavier loads adjustable shoulder straps with padding. This backpack matches the Dragona training attire by coming in a black and red colourway. The Dragons badge has been embroidered onto the front, small pocket with the team's partnership company - lovellrugby - embroidered underneath. The VX-3 logo has been printed on to the larger pocket whilst the bottom of the rucksack features the words 'Veni Vidi Vici' the VX-3 slogan.